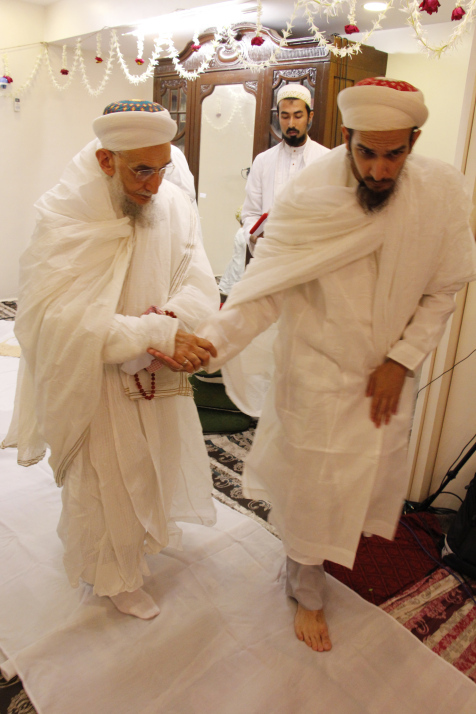 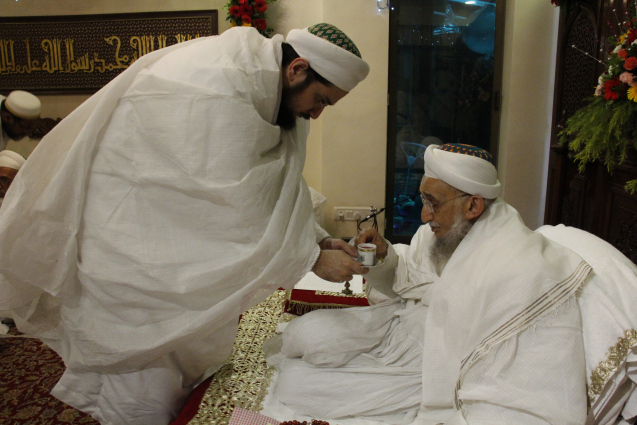 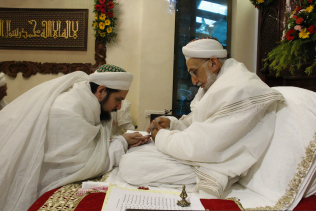 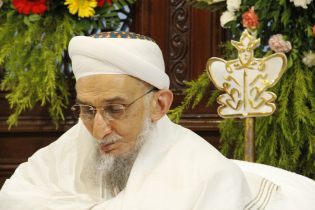 Syedna TUS led Namaz on Eid ul Fitar day and beseeched doa for all Mumineen on the auspicious day. 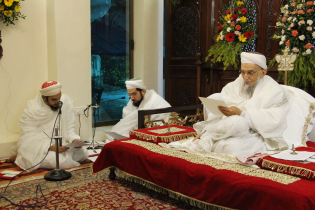 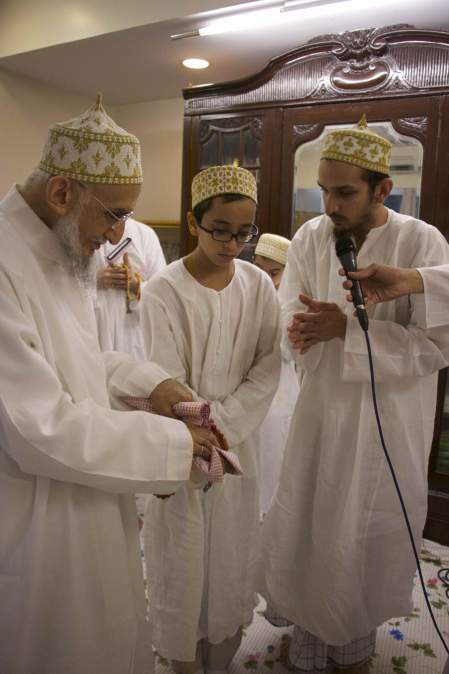 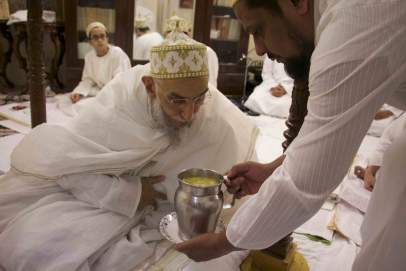 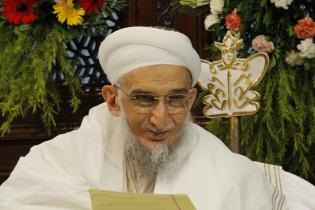 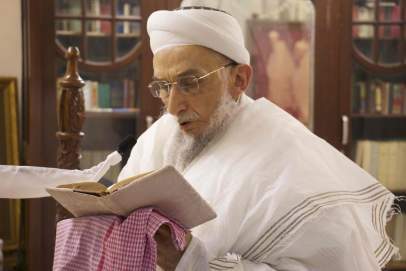 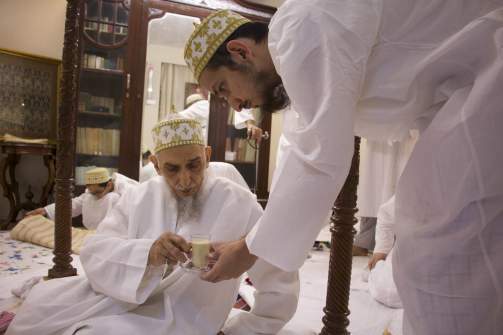 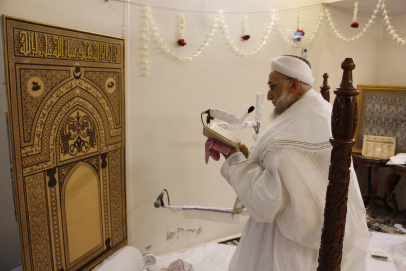 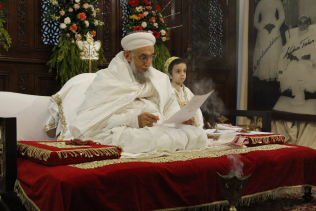 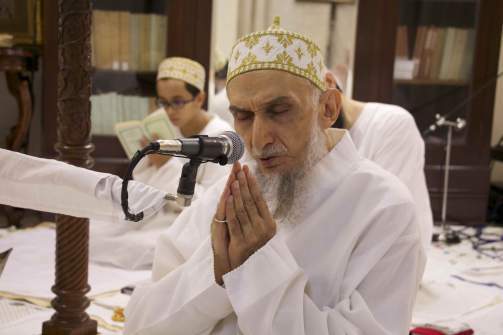 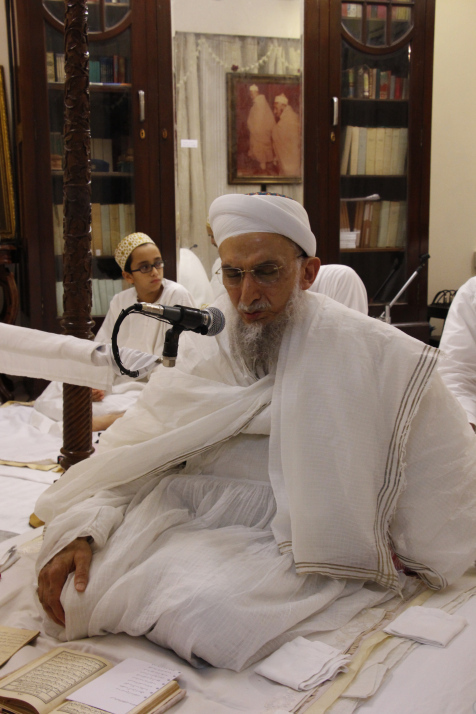 Following Namaz and waseela, Syedna TUS presided over Eid ul Fitar Khushi Majlis in which Qasidas by Syedna Taher Saifuddin RA and Syedna Mohammed Burhanuddin RA were recited. 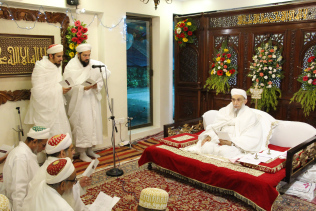 After this the Qasida Mubaraka composed by Syedna Qutbuddin TUS on this occasion “A lisaana Sidqin bil Haqeeqati Kallimi” was also recited. 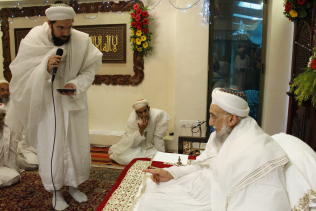 It is presented on fatemidawat.com with Dawat ni zaban and English translation, and also with an the audio recording of Shz Dr. Aziz bhaisaheb’s fehwa. 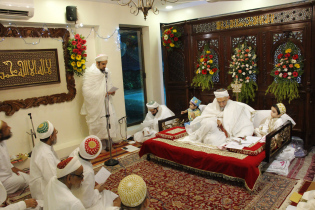 Several Qasidas arazed to Maulana TUS on this auspicious occasion were also recited. 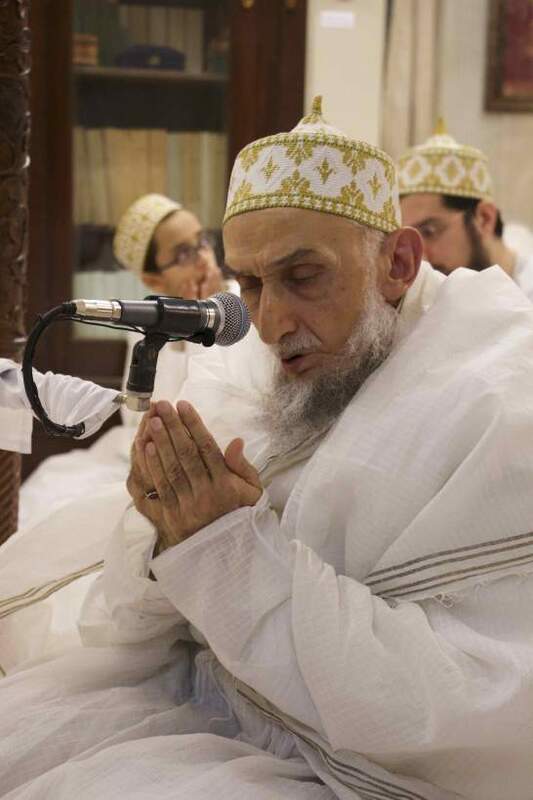 They are posted in the Qasidas, Marsiyas, Salaams section of fatemidawat.com with Audio recordings.